Sometimes we all are confused about which editor I use for programming and website development. In case of my time I really confused about text editor but after a long time, long distance I found a perfect text editor for me. That editor perfect for doing my work. So let's see some best editor, that I personally used. Sublime Text Editor is one of the best editors in the market. It is a free, lightweight and awesome text editor. It is an alternative to powerful IDE. And it manages the code perfectly and beautifully. Editor theme is awesome and visible. And lots of extensions are available for that. Personally, I try this editor but I don't like their features so much because of many features are not available like entering "</" to complete tag. I don't that feature includes or not but when I used its not available. So I try next editor. Atom is also the best editor. I used after sublime text editor. Many many programmers and web developers like this text editor lot. Because of numbers of extension or plugins are available for that and the main feature is it is an Open source editor. This software built by the team at GitHub. But in my case, I also don't like so much because of many features are not available which I need. I know I know in many cases it is perfect. But this software doesn't fulfill my requirement. So I try next editor. A Bracket is also one of the best or good text editor for web development and designing. It is a lightweight, powerful and modern text editor. They also have extensions for work easily and doing work great. A primary focus of bracket is for website developing and its lightweight as well as open source software. Personally, I like this editor but this software also doesn't fulfill my requirement. So I try another text editor. This is my favorite text editor nowadays. Because this software fulfills all my requirement for web developing and designing. This is also a lightweight text editor and themes are awesome. Lots of extensions are available for managing code perfectly. I love this editor because of their theme, code highlight and auto-filled feature and yes its fill my "</" feature. So the conclusion is the finding a text editor is not easy work. 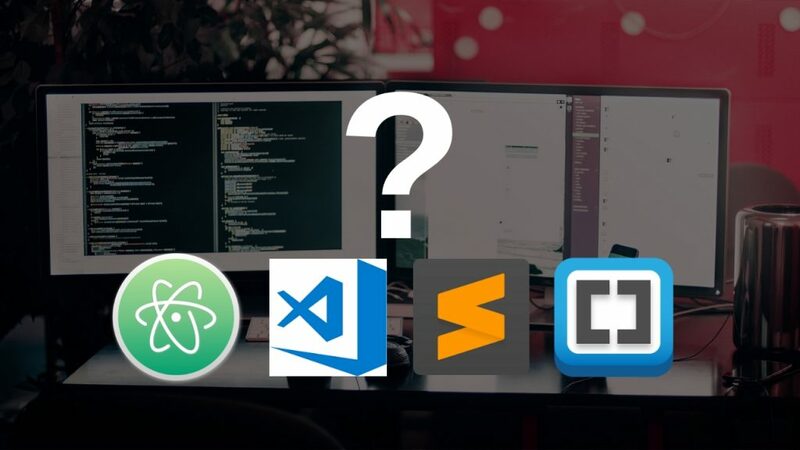 I tell about text editor but I do not choose text editor for you because what your work, how can you manage your work and which feature you like most. The best advice from me is trying all text editor you see because you don't choose perfect text editor until you try your self. Personally, I try all the text editor and finally I choose one text editor from them. It is not time westing, once you find your satisfied text editor you save your time lifetime.